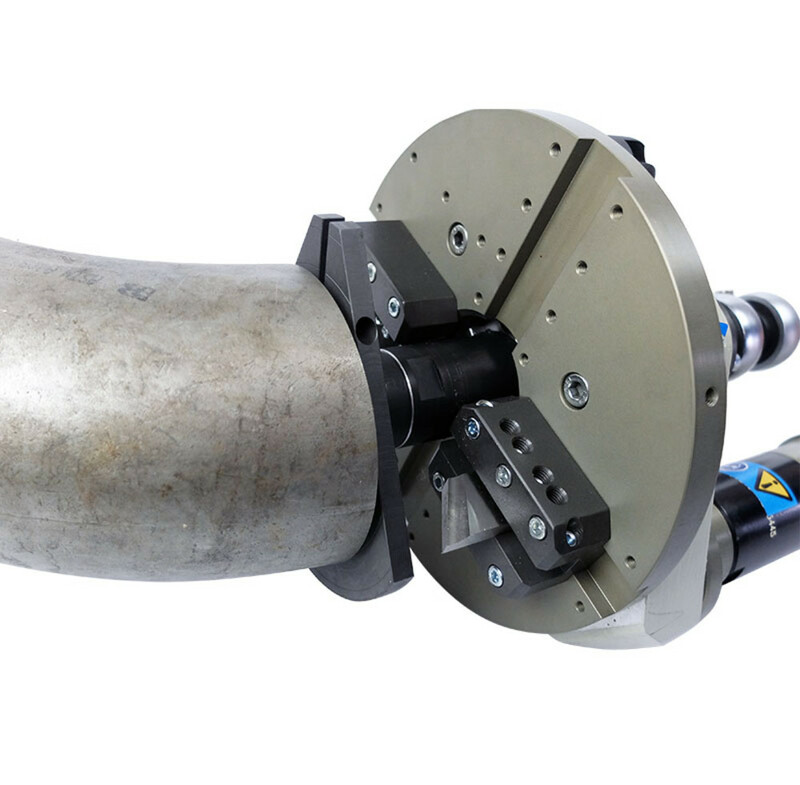 The new generation of the elbow clamping device was designed to clamp the US-Series Machines onto any type of elbow. 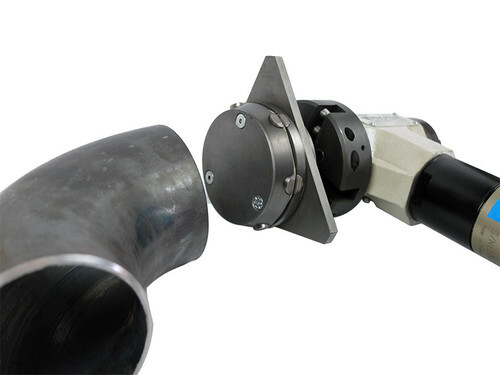 The main benefit of this technology is the possibility to machine elbows onsite precisely and fast. 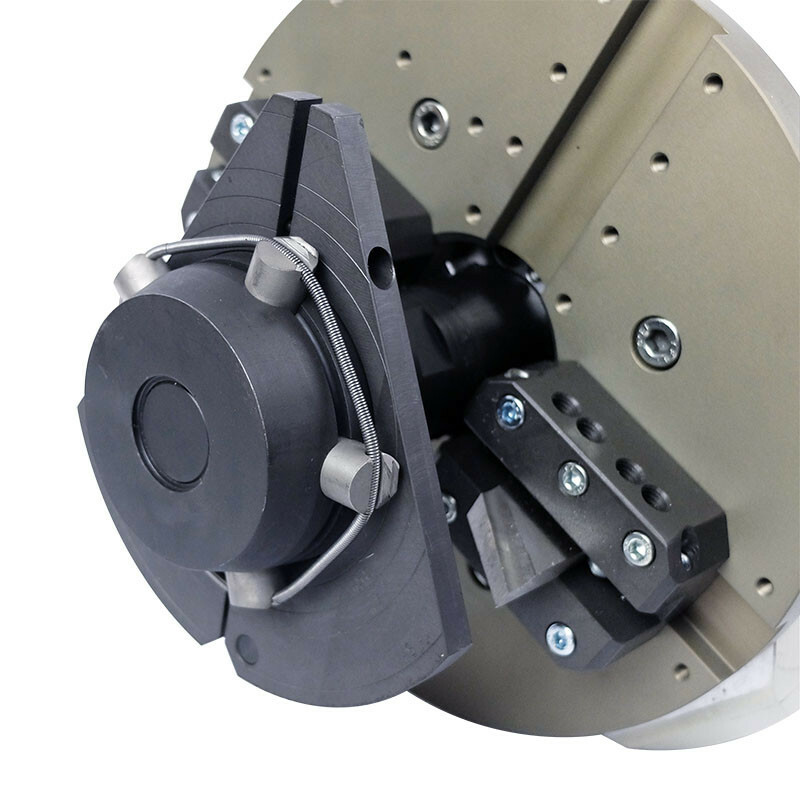 The most significant innovation of the clamping device is the set-up time. The jaws move all at the same time when clamping. It guarantees perfect positioning of the machine on the tube. During the set-up, a triangular plate is set on the device to ensure flatness. 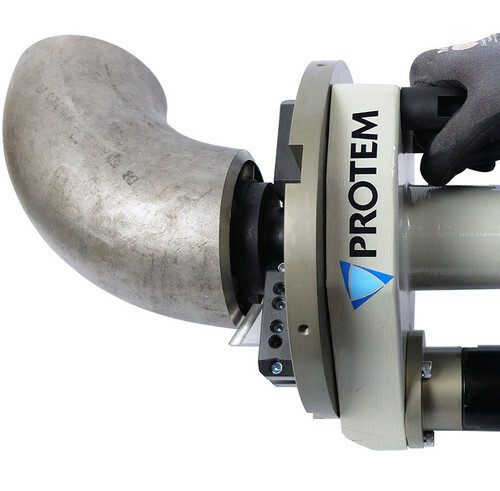 The device is extremely durable and provides highprecision machining. Option available for Protem US-Series Machines. Step 1 : Switching the standard mandrel to the elbow clamping device. Step 2 : Machine clamping: No adjustments needed. The device is self-centering because of the concentric jaws. Step 3 : Removing the triangular plate. the machine is now ready for machining.